Many buyers of newly constructed houses wonder whether paying for a professional home inspection is really necessary. In theory, there should be no issues with a house built by a reputable company but, believe it or not, some of our longest building reports have been on new builds. During the construction of a new home there are often a number of different companies / trades people that are providing services for the developer / builder, and they can be on site for only a few days before moving on to the next job. Unfortunately, the speed of work is sometimes at the expense of the quality of the work. For peace of mind, we usually recommend a new home inspection. If any issues or defects are found, then buyers can ask that these be attended to before closing the deal. 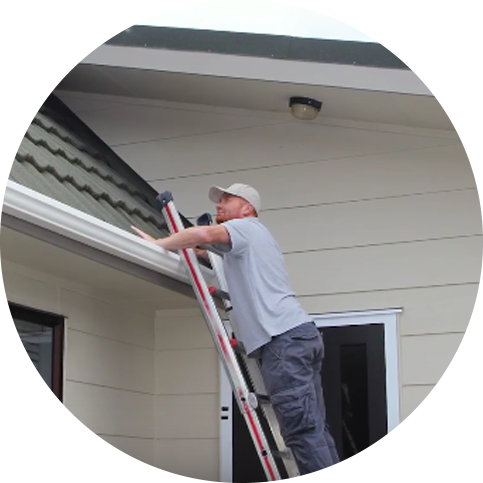 A new home inspection generally follows the same format as that of an older home, however much effort is put into identifying shortcuts and poor finishing work, as we believe that new houses should be handed over to the new owners in perfect condition. Clients are very welcome to be present during the inspection of the house, but are asked to bear in mind that our building Surveyor must focus on the inspection, and is happy to talk you through his findings at the end. Do you give houses a pass or fail mark? We do not believe it is possible to pass or fail a house, as factors such as price, the buyer’s ability to rectify certain issues themselves and/or budget to renovate must all be taken into consideration. By providing buyer’s with a full and independent survey of the property, they are able to make a fully informed decision about how to proceed.